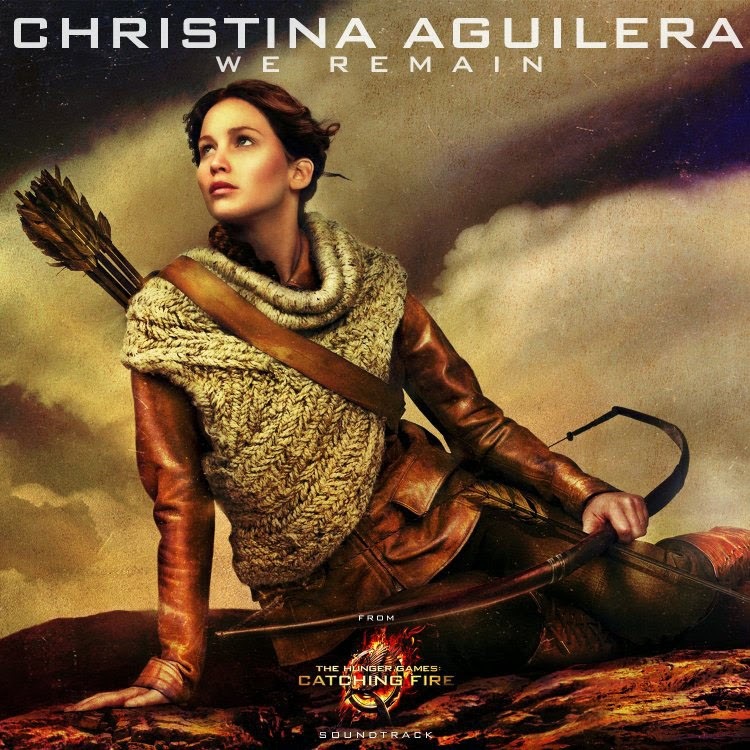 We got a taste of Christina Aguilera's stirring "The Hunger Games: Catching Fire" track last week when the full soundtrack listing was revealed — now, we've got the "We Remain" single art to look at. A dramatic image, the art shows Katniss Everdeen splayed on the ground — perhaps among the horrors of the arena — looking off into the distance. The sequel to "The Hunger Games" — in which children were forced to fight to the death for the amusement of an oppressive upper class — "Catching Fire" sees victors Everdeen and Peeta Mellark thrown back into the arena, where they will go toe-to-toe with all past Hunger Games winners. Meanwhile, a rebellion brews, instigated by the duo's refusal to kill each other in the last battle royale. The film hits theaters in November. The photo perfectly matches the strident, wistful nature of Aguilera's track, in which she sings, "Whatever happens here/We remain." A message to fellow fighter and love interest Peeta, perhaps? Listen to 'We Remain' in its entirety after the jump.